This snack is easy to make, delicious, and loaded with plant protein! Preheat the oven to 200c and line a tray with baking paper. 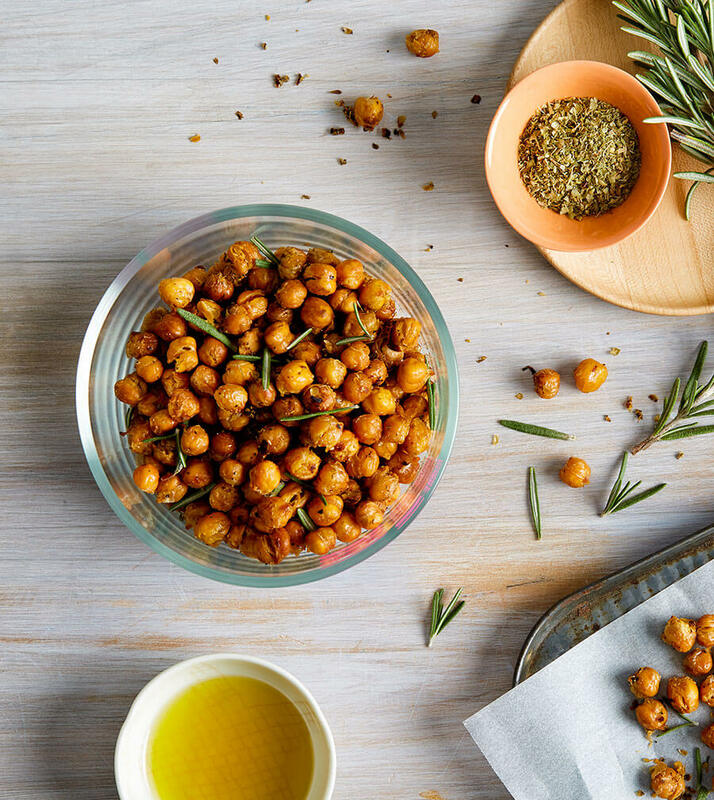 Drain and rinse the chickpeas and place between 2 tea towels to absorb excess water. Leave for 15 minutes. Mix the oil, oregano and garlic in a bowl, then, salt and pepper. Stir in the chickpeas to combine. Spread the chickpeas onto the baking tray and roast for 15-20 mins turn the chickpeas as much as possible, then bake for another 15-20 mins. Allow chickpeas to completely cool before storing in an airtight container. Glass works best!